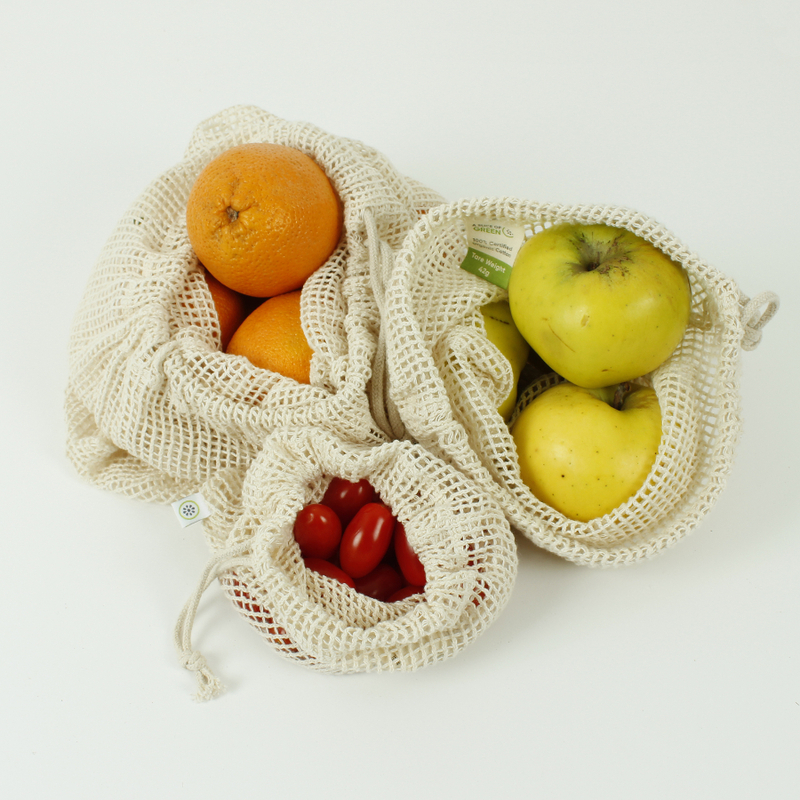 Never waste food again with these handy, breathable produce bags from A Slice of Green. 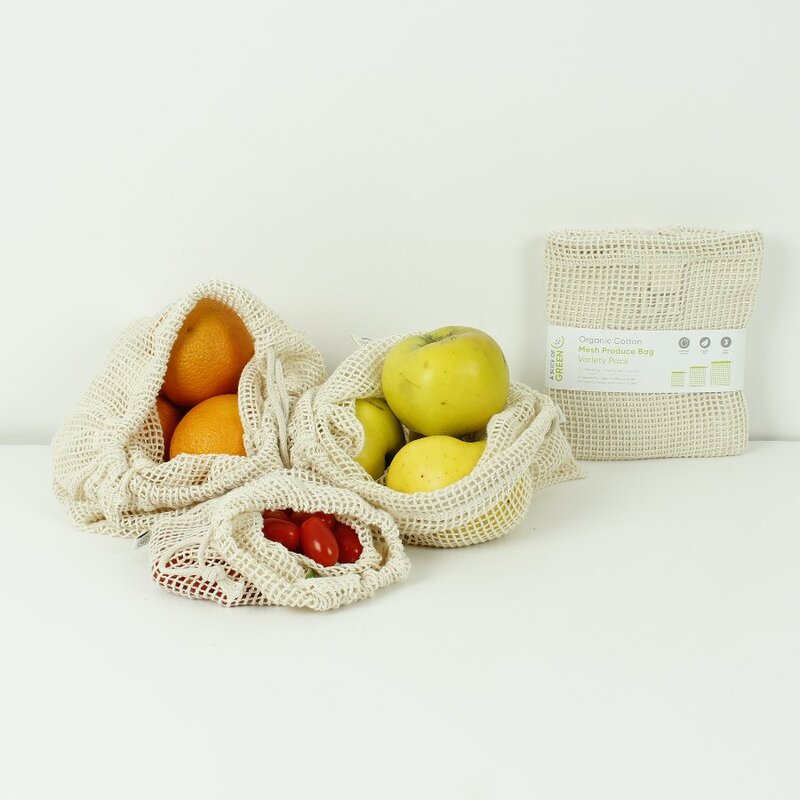 These bags are great for preserving ingredients to help you cut down on your food waste. In the set you get 3 bags of differing sizes to help you separate fruit and veg and accommodate more food for storage. 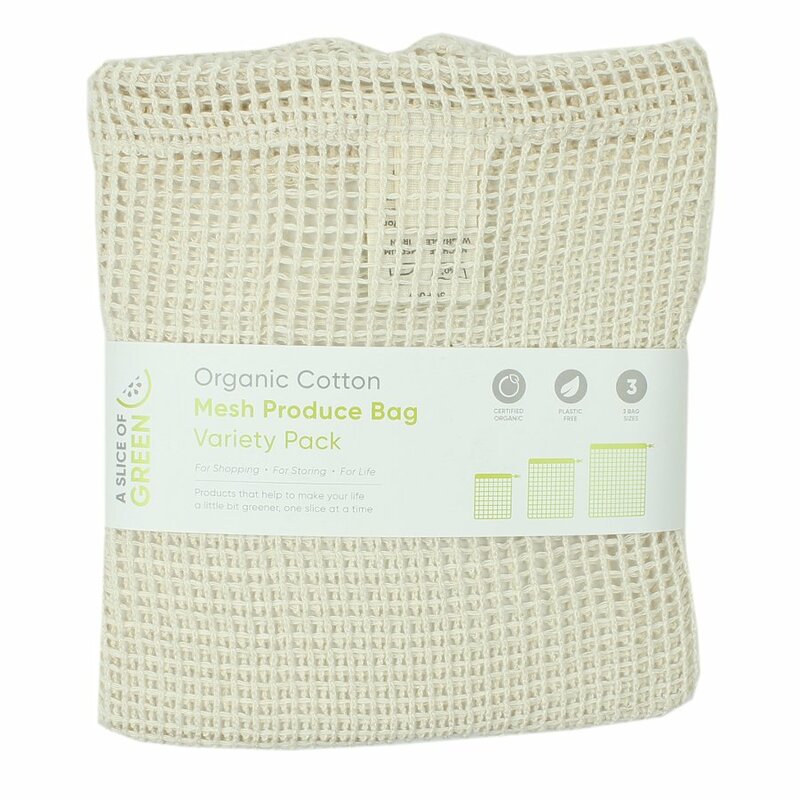 Each one is made from organic cotton that is officially GOTS certified; supporting sustainable cotton farming practices. These bags aren’t just great for storage either, you can use these to take to the shops with you; eliminating the need for supermarkets single-use plastic bags or ‘bags for life’. 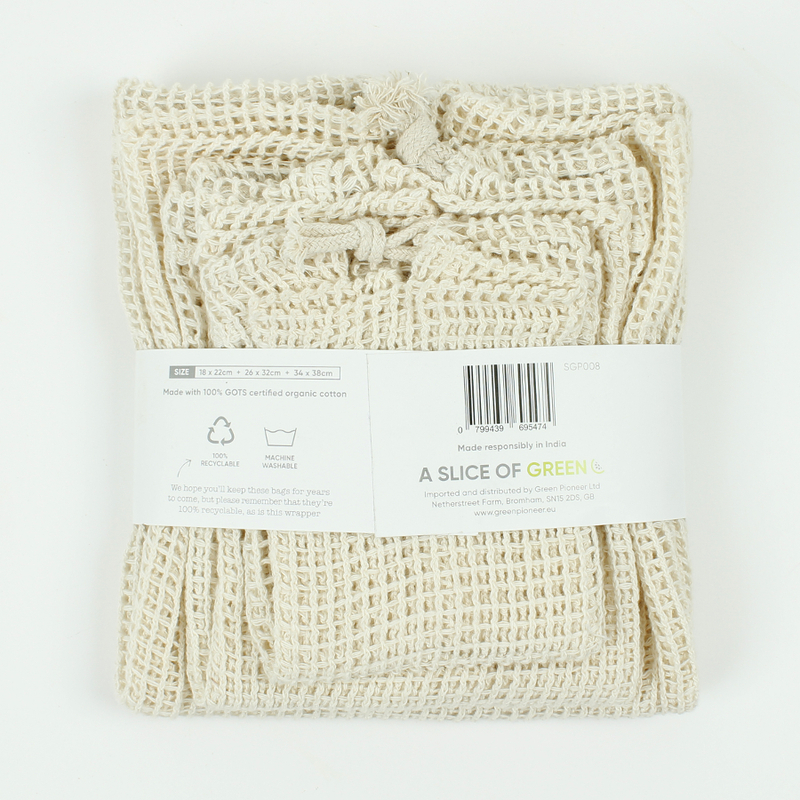 The A Slice of Green Organic Cotton Mesh Produce Bags - Set of 3 product ethics are indicated below. To learn more about these product ethics and to see related products, follow the links below. 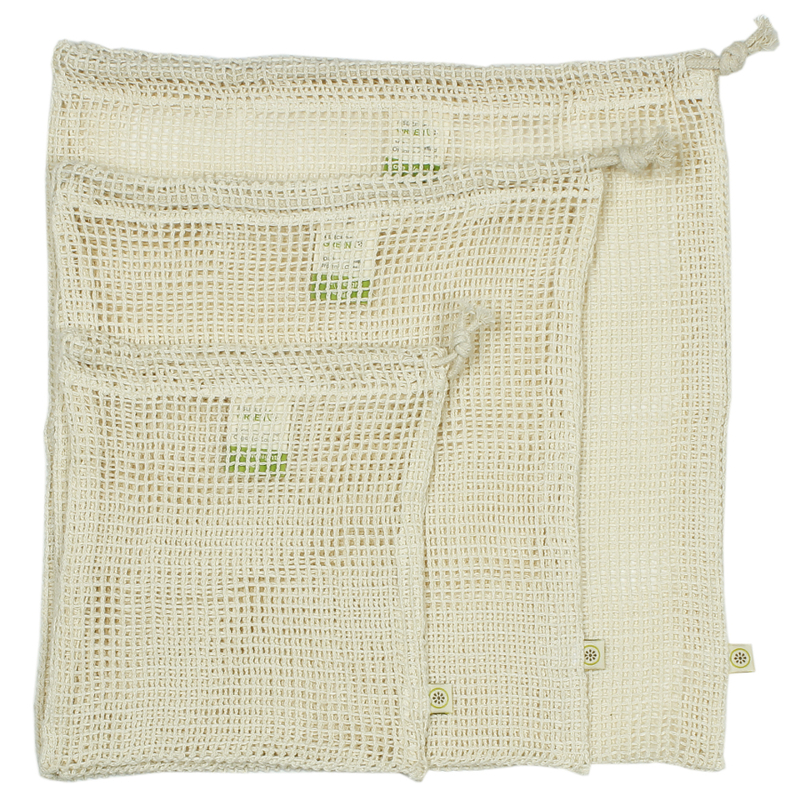 There are currently no questions to display about A Slice of Green Organic Cotton Mesh Produce Bags - Set of 3.